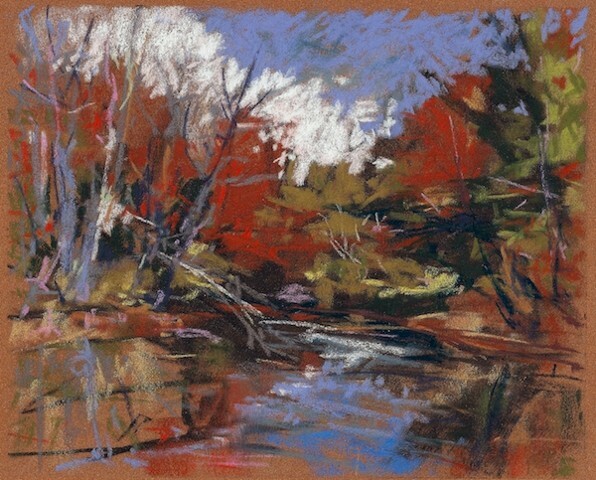 1st Place – "Kay Sullivan River of Days:" A unique, individual expression – There are small paintings with large voices. A solid composition supported by colorful energetic strokes – each well-placed. This small painting holds its own on many levels – but its energy and boldness kept pulling me back.